There were so many not-to-be-missed articles this month that they ALL became easy to miss and easy to lose track of. Which I have done, prior to finding the time to read or share most of them. This is due in large part to May being Lyme Disease Awareness month, and to the ongoing traction of the Lyme Disease Challenge and progress of the Mayday Project following their Arlington Mayday events. But it is also due to the traction that many of our most important community messages are continuing to gain. It’s exciting and tiring and overwhelming, but as you sort through it all, you see patterns and reasons for optimism–some you may have to dig for, but that’s why I’m posting these as I recall and retrieve them. This will be a growing post, as there was just too much to keep track of this month. For me, this was also due to Northern Rockies Lyme Disease Coalition getting it’s start (read more here and visit NorthernRockiesLyme.org to learn more). A number of patients in Montana, Idaho, and Wyoming have been working on something big that you will be able to read more about soon, or relatively soon, so you’ll just have to check back to see more about that. I’ll start with stories, commentaries, and science articles. There may be overlap with other posts, particularly as I add in Mayday Project press releases to catch up on, as those will need more coverage elsewhere, too. Antibiotics have been so effective in wiping out all traces of Lyme disease infections that doctors haven’t always believed people who said they still suffered for months or even years. Many chafed at the idea of “chronic” Lyme disease because they believed patients no longer had it. But the scientific community has been coalescing around the idea that something is happening — that maybe the bacterial infection caused by tick bites is morphing into or triggering a new disease in some patients. Some estimate “post-treatment Lyme disease syndrome” affects as many as one in five who contracted the infection. Johns Hopkins researchers now plan to study the poorly understood, long-term problems in a newly formed center that could eventually provide answers and therapies to people who say they have few of either. 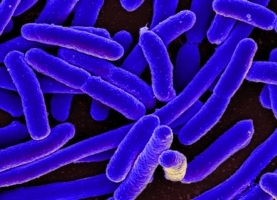 Scientific American: A new algorithm that deciphers how bacteria genes gain resistance to antibiotics could help improve drug cycling regimes. Bacteria that make us sick are bad enough, but many of them also continually evolve in ways that help them develop resistance to common antibiotic drugs, making our medications less effective or even moot. Doctors try to reduce the evolution by cycling through various drugs over time, hoping that as resistance develops to one, the increased use of a new drug or the widespread reuse of an old drug will catch some of the bugs off guard. Lyme: Are bacteria (or research) being starved to death? Peering into his microscope, Willy Burgdorfer saw stringy, coiled bacteria living in the tick’s midgut. The spirochete he saw eventually was named after him — Borrelia burgdorferi, the bacterium that causes Lyme disease. And so began the study of the pernicious and inscrutable bug that plagues hundreds of thousands of people each year, particularly here in the Hudson Valley. Research has found that Borrelia has a number of unexpected traits, one of which could provide a clue into how to defeat it. In more than 30 years of research, only four clinical trials to assess efficacy of antibiotic treatment for patients with unresolved Lyme disease symptoms have been funded by the NIH. When subjected to rigorous biostatistical review by researchers at Brown University, two of the four studies were proven invalid due to flaws in study design and data interpretation. In the other two studies, statistically significant improvements were actually noted. Therefore, the true efficacy of continuing antibiotic treatment in patients whose symptoms don’t resolve after the standard 4 weeks remains unknown. Additional, better designed studies are critically needed. It’s nighttime. Lying in bed wide-eyed and frustrated as the clock ticks, you pray for just a few hours of precious sleep. Insomnia plagues you. Your usual sleep medications have no effect on you tonight. It’s as if you just swallowed some candy instead of a sleeping pill. Tears stream down your cheeks. You bury your face into your pillow and weep softly so as not to wake anyone else. I was super sick when American Ninja Warrior resurged in the US. I got it into my head that I was going to fight back from Lyme and I was going to compete on this TV show. Forget the fact that even pre-Lyme I would have had no shot at a successful run of the course, I was bound and determined. For some reason this seemed like a perfectly reasonable goal for a woman who was bedridden and required assistance to complete the most minor of tasks, including making it to the restroom. “It’s like an uphill marathon, blindfolded,” says Mauryah Burattini. The 23-year-old Welland woman is fighting her body every day, stricken with a debilitating case of chronic Lyme disease. She doesn’t know how or when she got it, but she played soccer and used to spend a lot of time outdoors and might have been bitten by a tick that way. Doctors have told her it’s “all in her head” and to just “get out of your wheelchair,” but Burattini and her family knew that wasn’t the case. In April 2010, Angela Daenzer was doing field work as a biologist for the Flathead National Forest when she startled a moose up the Middle Fork. She ducked off into the brush to avoid the angry animal, and while the moose encounter was a bit scary, there were worse things to come. While hiding in the brush, Daenzer picked up a tick that bit her in the scalp. After a shower hours later, she found the tick and, disgusted by it, she pulled it out of her hair and threw it in the toilet. Daenzer is convinced that tick gave her Lyme disease, or at the very least a disease very similar to it. Within a week, she became very ill. She got the chills and a sore throat and then what she and her doctors thought was an ear infection and then severe jaw pain. ← Blog Post Link ~ Liberation Through Lyme ~ Why American Ninja Warrior?